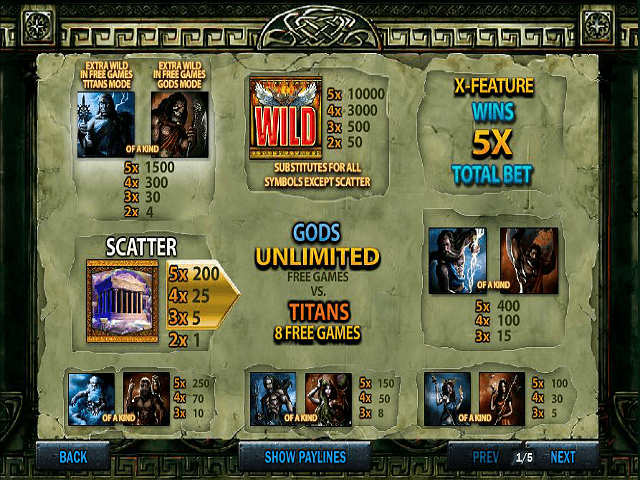 Mythology is a popular theme for online slot games, it seems. Yet another epic release from the 'Age of the Gods' series of jackpot slots, Battle of the Gods is centred on the legendary battle between the Titans, the first pantheon of Greek gods, and the Olympians, the new younger gods led by Zeus. The 'Age of the Gods' series features slots bearing the series' name except the Battle of the Gods slot game which combines the themes of all the other slots into one game. Whether you’re a Titan or an Olympian, our review will guide you through this slot machine and show you how this epic battle could bring you some epic wins! 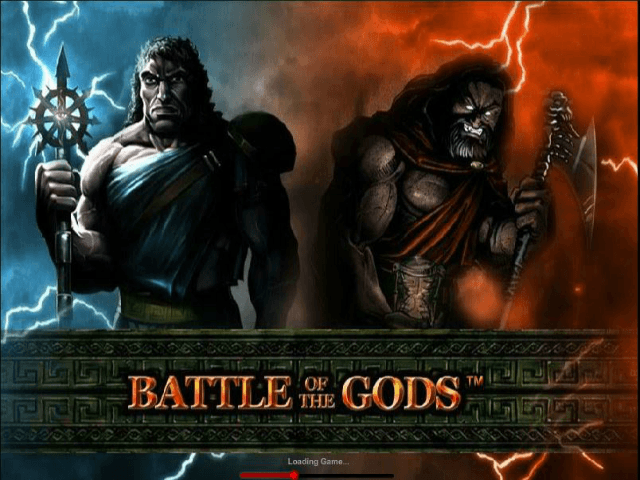 Play Battle of the Gods Slot Demo for Free! Play Battle of the Gods for Real Money! 100% First Deposit Bonus up to €200 + €10 Extra Cash + 11 No Wager Spins! If you like having the widest possible variety of video slots to try, then Videoslots is the place for you. It has been recognised as one of the best online gaming portals since it launched in 2011, winning several awards for its efforts. Casino at bet365 - Up to €100 New Player Bonus! New Casino customers only. Deposit min. €10. Applies to first deposit to Casino only. Max. bonus €100. 15x wagering (game weighting applies) on deposit and bonus to make the bonus balance withdrawable. Time limits and T&Cs apply. Battle of the Gods is a five-reel, 25-payline video slot powered by Playtech, who you could say is a god of the online casino industry. The design of the game is very similar to the Marvel X-Men slot (also by Playtech). This title is no longer available but if you liked it, then Battle of the Gods should be up your street. Unusually, there are no letter symbols in this game. Instead, the symbols represent a selection of the gods on both sides in cartoon form, with the Olympians on a blue background and the Titans on a brown background. This gives the game quite a dark appearance, with a dramatic soundtrack adding to the eerie atmosphere. When gods fall on a winning payline, they’re briefly brought to life by a neat animation which demonstrates the awesome power of each individual character. These animations give the game a bit of extra life and heighten the excitement of each win. As mentioned, the gods themselves make up most of the symbols but Battle of the Gods also includes a Scatter symbol, which is the famous Temple of Zeus at Olympia, while the Wild symbol takes the form of a phoenix and can be substituted for any other symbol in a win line except the Scatter. There are also Gods and Titans Extra Wild symbols. Battle of the Gods offers an extremely high maximum stake of £1,250 per spin but it can also be played for as little as 25p per spin, so it suits every type of player. There are max bet and autoplay functions for convenience and speed of play. You’ll be in heaven (or Mount Othrys at least) if you land on five Wilds as this will award you with the game’s top jackpot of 10,000 coins. If you get three or more Temple symbols simultaneously anywhere on the reels, you’ll trigger the free games feature. Here, all free spins are subject to a 2x multiplier. You start the feature in Gods mode where the number of free spins is unlimited and only Gods symbols, Wilds, and the Titan Extra Wilds appear. 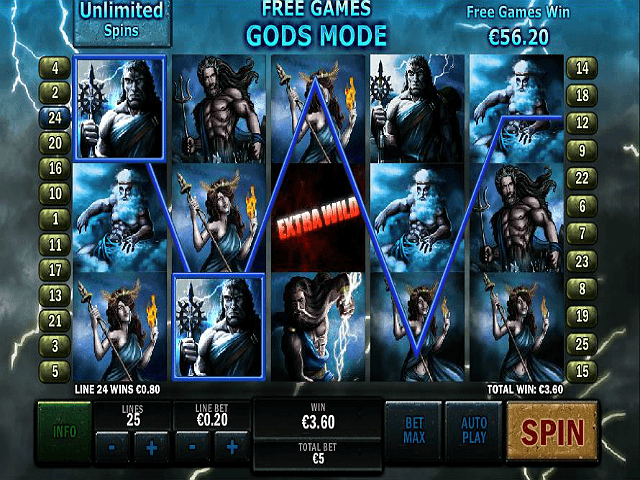 The game remains in Gods mode until you get the Titan Extra Wild symbol on the third reel, at which point you switch to the Titans mode where you have a maximum of eight free spins. In this mode, only Titans symbols, Wilds, and the Gods Extra Wilds appear. If you land the Gods Extra Wild symbol on reel three, you switch back to Gods mode and so on and so forth until you have no spins left in Titans mode. Battle of the Gods also boasts an X feature, which gifts you five times your bet when five of the Olympians line up in an X shape across reels two, three and four. Take a trip through Greek mythology and whichever side you’re on, you could soon have coins raining down from Mount Olympus. 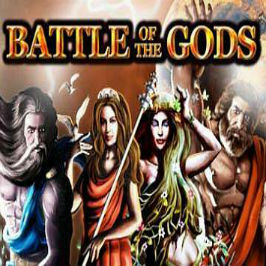 Despite being the only installment in the 'Age of the Gods' slot series to not directly bear its name, Battle of the Gods still connects to the lucrative 'Age of the Gods' Jackpot Network, meaning its progressive jackpot combines with the jackpots of the other 'Age of the Gods' slots including the original release, Age of the Gods online slot, as well as the more recently launched titles, like Age of the Gods: Prince of Olympus. 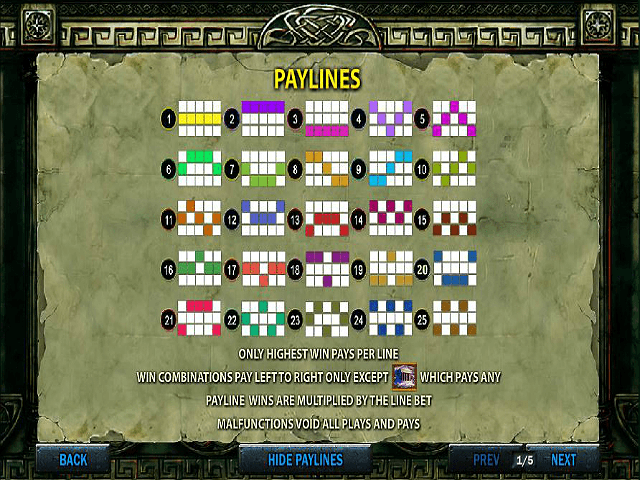 The 'Age of the Gods' Jackpot Network was created and implemented by Playtech in anticipation of the dismantling of the Marvel Jackpot Network. Thanks to a deal with Disney that took Marvel out of the online gambling scene, Playtech has turned to the 'Age of the Gods' Jackpot Network to fill in as the premier Playtech-powered jackpot network. Share this Battle of the Gods Review today! If you like Battle of the Gods, you'll love these slot titles too!